Rooms are available to rent in a sunny and stylish 3-bedroom apartment situated in the heart of Brussels. This property is filled with natural light, and decorated with elegant, minimalist furniture. The comfortable living room, dining room and fully equipped kitchen feel very spacious, as they are designed in a sleek, open-plan layout. There is 1 bathroom to share between tenants, and there is also a grassy garden. This apartment is situated on Rue Phillips de Champagne. Despite being right in the heart of Brussels, the local area is tranquil and quiet - you can live in peace whilst being within walking distance from everywhere. You will be living just minutes from famous sites such as Grand Place, Délirium Café, Brussels Park and the European Quarter, as well as plenty of bars, cafés and restaurants. This apartment is bright and decorated with sleek furniture. There is a small, grassy garden which is great in summer. The interior is very spacious, characterised by a large-open plan layout. The large dining table is the perfect place to entertain guests or spend time with housemates. You have access to a common laundry room with a washing machine and a dryer. 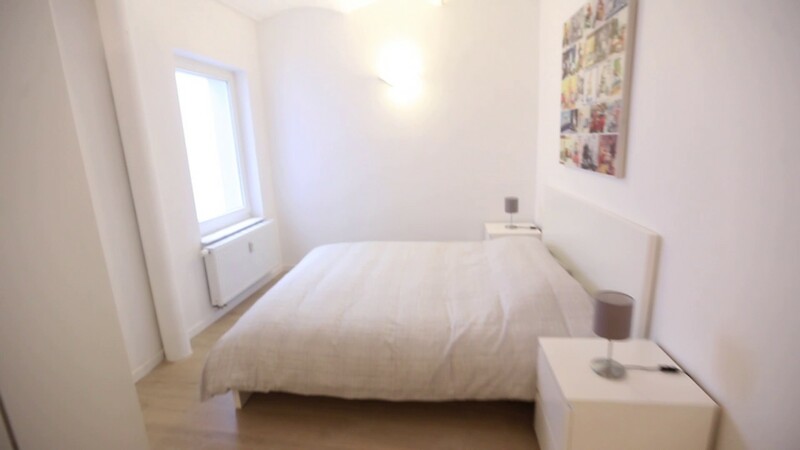 This apartment is in the very centre of Brussels, Grand Place, Délirium Café and many other points of interest are nearby. Gare Centrale train and metro station is about 10 minutes away. You can walk to many central places from this well-located apartment.